Baldwin offered both public and financial support to the measure. 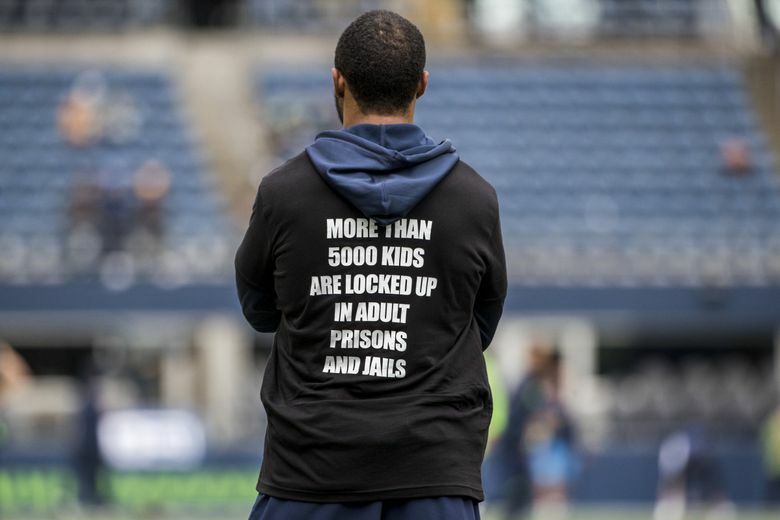 Election Day was especially meaningful for Seahawks receiver Doug Baldwin, who had been one of the most public leading supporters of Initiative 940, a measure helping add regulations to the use of deadly force by police. Baldwin met with those writing the bill — which specifically removed a barrier that has made it virtually impossible to bring criminal charges against police officers believed to have wrongfully used deadly force — and spoke on its behalf in Olympic and during press conferences and in other venues. The bill got 60 percent voter support, and 70 percent in King County. “I’m ecstatic that it looks like 60 percent of the population that voted agreed that there were some changes that needed to be made to our laws, so I’m very encouraged by that,” Baldwin said (you can watch video of Baldwin speak on the election here). But Baldwin also said more needs to be done on the issue of use of force and de-escalation training. But Baldwin said any step is a good one. “It’s extremely encouraging and not just myself, but the people who were behind the Initiative form the beginning, who took the time to research the laws and to write this Initiative, it’s a very emotional process and I think that a lot of people who were involved with it were emotionally attached because they had some type of personal connection,” Baldwin said. “Again, being able to see that almost over 60 percent of people agreed with it and were able to in some way, in some capacity be empathic to what the initiative was really speaking towards, I thought that was really encouraging. Baldwin said the experience, though, has made him consider someday going into politics — though not for quite a while. “If I do, it won’t be for at least another fifteen years,” Baldwin said. “Personally, my main focus and main goal right now is to build my family and to be there for them as much as I possibly can so the future children – that are hopefully soon on the way – and being the best father that I can for them, so my priority is just like I attack anything else: researching, reading, learning as much as I can from people who have gone through the process and being the best husband and best father than I can be.